Stephen Cowley (left) was married in County Mayo, Ireland, to Bridget Agnes Moore on January 21, 1871. 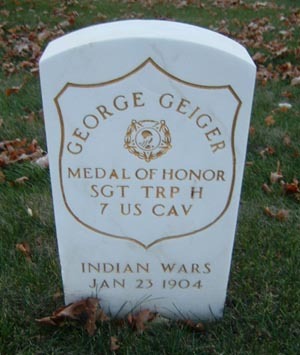 He was a Private in Company D on detached service at Yellowstone Depot, so he was not present at the Battle of the Little Bighorn. Otto Arndt was born on January 25, 1844, in Bavaria, Germany. He was a member of the band who was not present at the battle due to detached service at the Power River Depot. Edward H. Pickard (left) was born on January 27, 1854, in Boston, Massachusetts; He was a Private with Company F who was with the pack train and in the hilltop fight. He died on January 30, 1928, in Portland, Oregon, and was buried in Lincoln Memorial Park there.